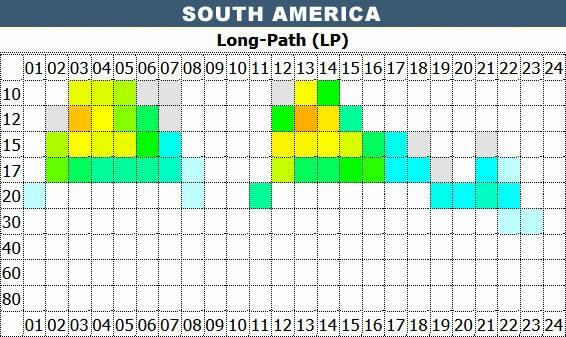 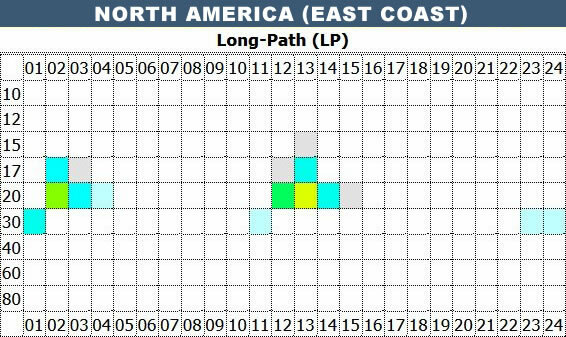 Here are several tools to help you estimate the propagation during our expedition. 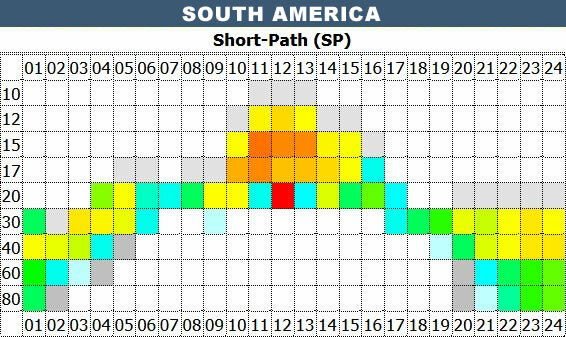 By consulting our log (button: propagation) you can also check the best time for each band, since the information from Club Log will be based on the QSO already made. 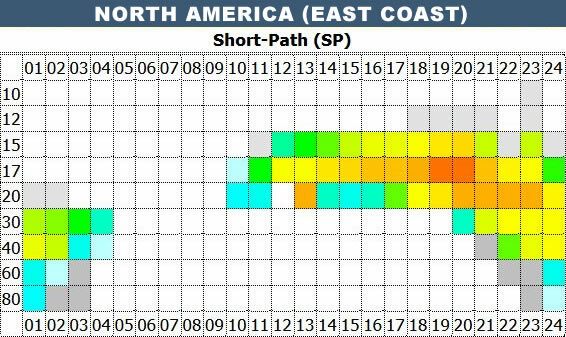 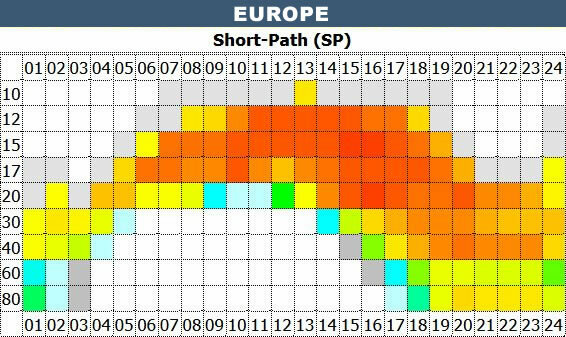 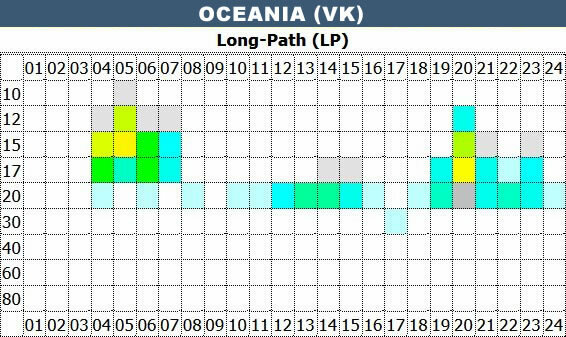 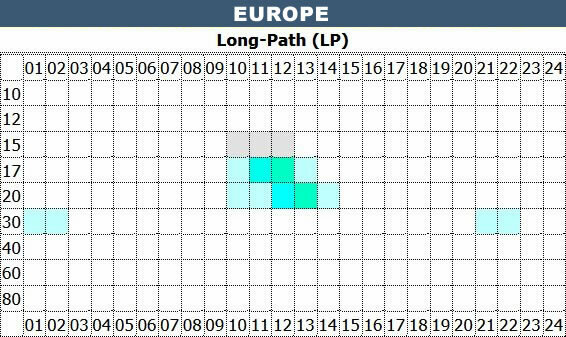 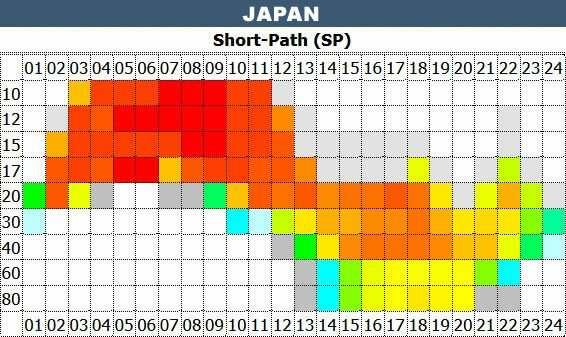 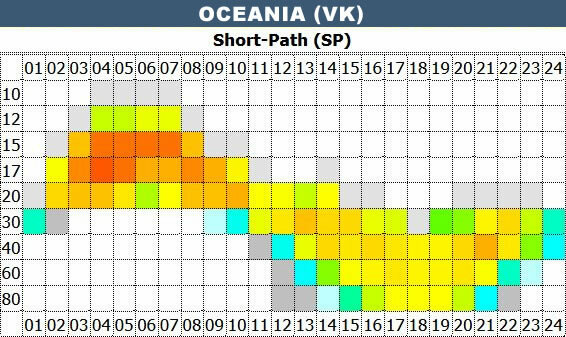 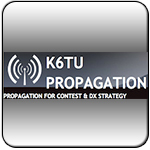 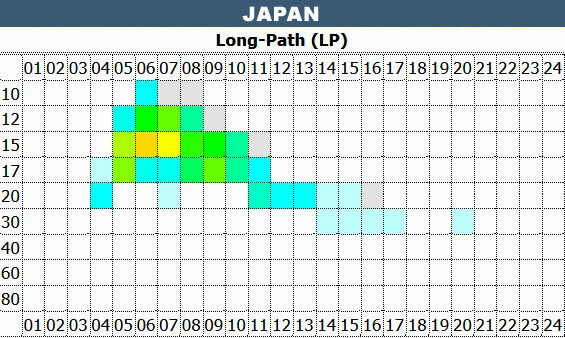 We thank K6TU as well as VOACAP (OH6BG, HZ1JW, OH8GLV) for providing their tools for establishing the best forecasts. 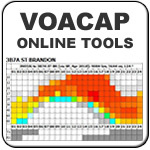 The following forecasts have been calculated with VOACAP for a 3 el. 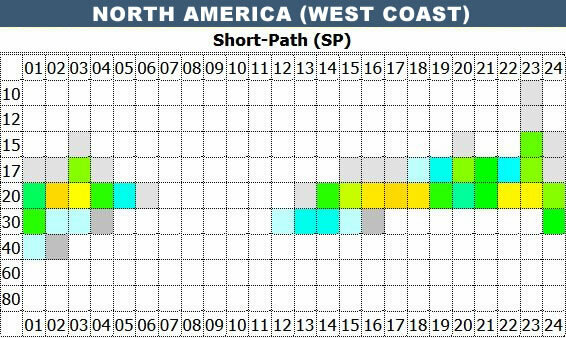 Yagi @ 10m on the high bands, and a quarter wave vertical with average ground on the low bands. 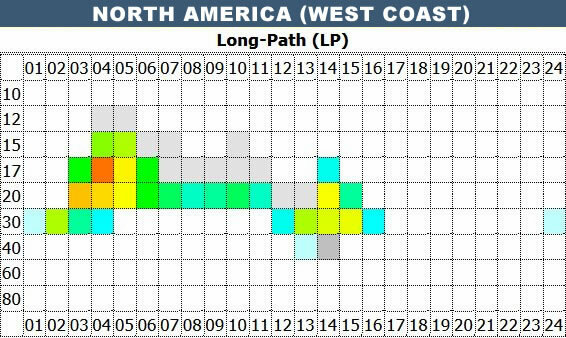 These simulations also take into account 3B7A antennas & power parameters.